The Blue Tree Clinic was founded as a supportive boutique mental health clinic in 2014 by a group of well trained and well established motivated professionals with one thing in mind – your well being. We pride ourselves for having the best private psychiatrists, psychologists and allied health professionals in our London mental health clinic.We are a small boutique clinic in central London and our psychiatrists and psychologists and other professionals work together to create treatment plans tailored for each patient. 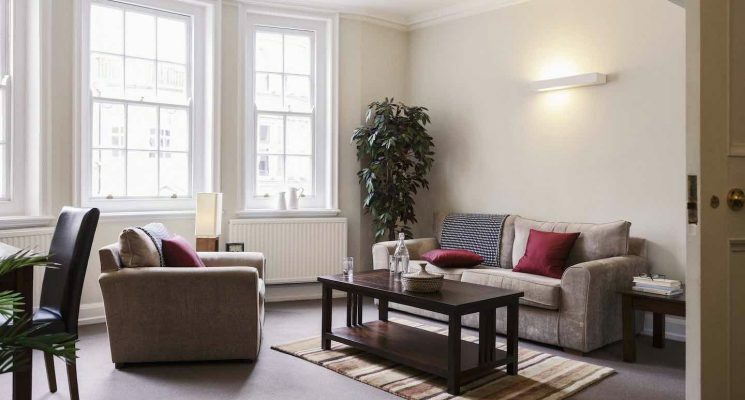 Our rooms are quiet, cosy and comforting which we believe is vital as other clinics do not have waiting rooms or the comforts we feel you need when you are choosing a London psychological clinic to help you through a difficult time.Our staff of London psychiatrists and psychologists are always reliable, caring and take your confidentiality and mental health as our number one concern. Dr Silvert, Consultant Psychiatrist and his team of psychiatrists and psychologists in London have all been trained in the NHS and then often gone on to specialise further in different areas to bring you the latest treatments on conditions such as ADHD, Anxiety, Depression, Eating Problems, Bipolar illness, addictions and personality difficulties. 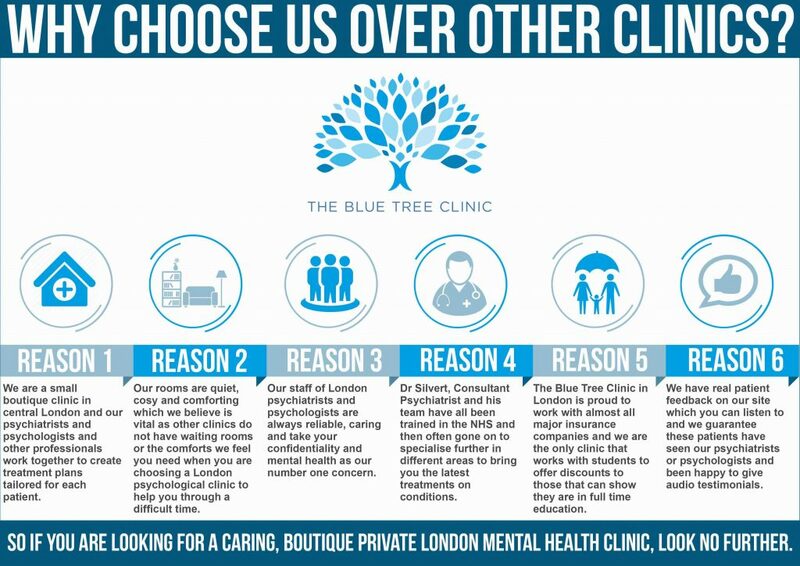 The Blue Tree Clinic in London is proud to work with almost all major insurance companies and we are the only clinic that works with students to offer discounts to those that can show they are in full time education.We have real patient feedback on our site which you can listen to and we guarantee these patients have seen our psychiatrists or psychologists and been happy to give audio testimonials. So if you are looking for a caring, boutique private London mental health clinic, look no further. The Blue Tree Clinic – The Clinic that’s all about you.